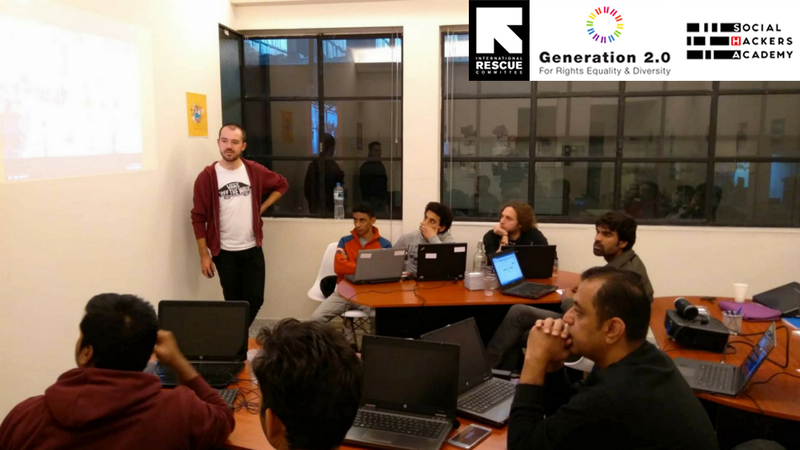 Generation 2.0 RED, in collaboration with The Social Hackers Academy and the support of International Rescue Committee, is launching a free-of-charge Coding School for asylum seekers and refugees at the end of February 2018. The only prerequisites for you to enter the course are to be passionate for the world of web development and be proficient in the English language. Certificates of attending different sets of programming languages are provided upon successful completion. Private one on one lessons are also a choice for those wishing it. Students are expected to study for the training approximately 15-20 hours per week. Thus, the workload is big, but so are the benefits, as students will acquire in-depth knowledge of a high in demand skill in the market and expand their career opportunities. In case where students do not possess a computer, the Social Hackers Academy provides one for the duration of the training. Students can also use the class space for doing homework and practice. After successfully completing the procedure, move to the next modules. A career coach guides students in job interview preparation, soft skills development etc.